Ok, I know I’m a little late on the smoothie game since Summer (the prime smoothie season) is long gone, but this recipe is still a regular in my life! It’s my go-to post-workout drink. I make this almost everyday and it’s the healthiest drink ever, so I had to include it for my recipe highlight this week. The main ingredients you need are a banana and (the secret ingredient) kale. 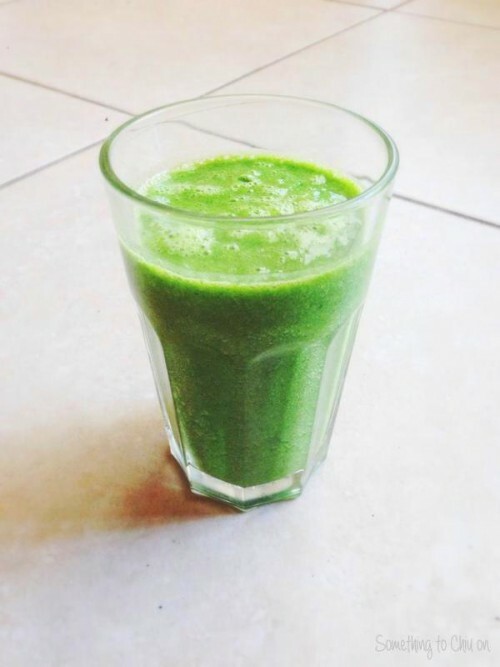 [I’ll also throw in a few slices of an apple or peach if I have them in my fridge, but not required] What makes this smoothie so great is the kale, which is nutritious and a great weight-losing food. The banana balances out the bitterness of the kale, is good for digestion, and is filled with natural sweetness. From my many experiences of creating this smoothie, I’ve come up with little tweaks to make the perfect blend. Blend the just kale with water first. I usually use about a cup of packed kale (use the leaf part!) and pour in just over a cup of water. Freeze the peeled banana before blending it into the kale/water mixture. 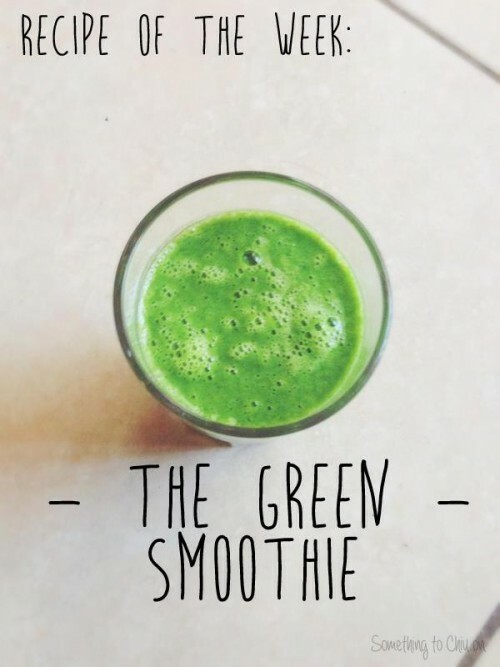 This makes your smoothie refreshingly cold and gives it a thicker consistency!